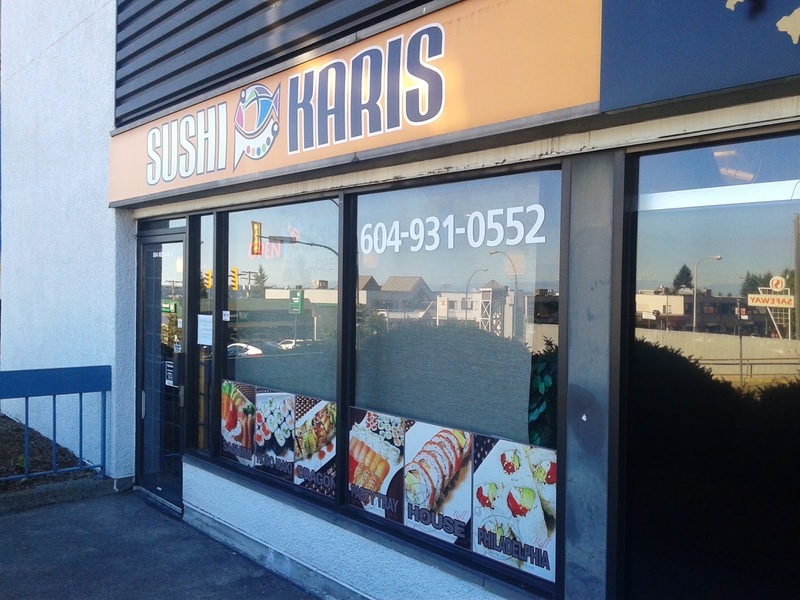 Sushi Karis has the highest rating on Zomato out of all the sushi restaurants in Coquitlam. By the laws of statistics, this means that the restaurant surely must be good enough to warrant my immediate attention. I also brought my dad along to ensure that I could order a fair number of dishes. However, on my way there, something in the air felt amiss. Before I even got out of the car, a few flies, wasps, and various other flying monstrosities swarmed around me, causing me to continually slap myself like a drunkard. Three ominous flying ants danced erratically on the windshield, while another lurked just outside the passenger door. I mustered up the courage to step out of the car, and to my horror, there were literally hundreds of flying ants in the air! Like any other smart human being, I ran to the restaurant in an attempt to flee the Revenge of the Queen Ant, and luckily, I managed to escape without having any ants make love to my skin. The restaurant was empty at the time, but the waiter gave us a friendly welcome. While the decor wasn't particularly new, some effort was put into making the place appear clean and pleasant. In order to try a bit of everything, we ordered the Sashimi Box, which came with 4 pieces of sashimi, tempura, a California Roll, and a small salad. 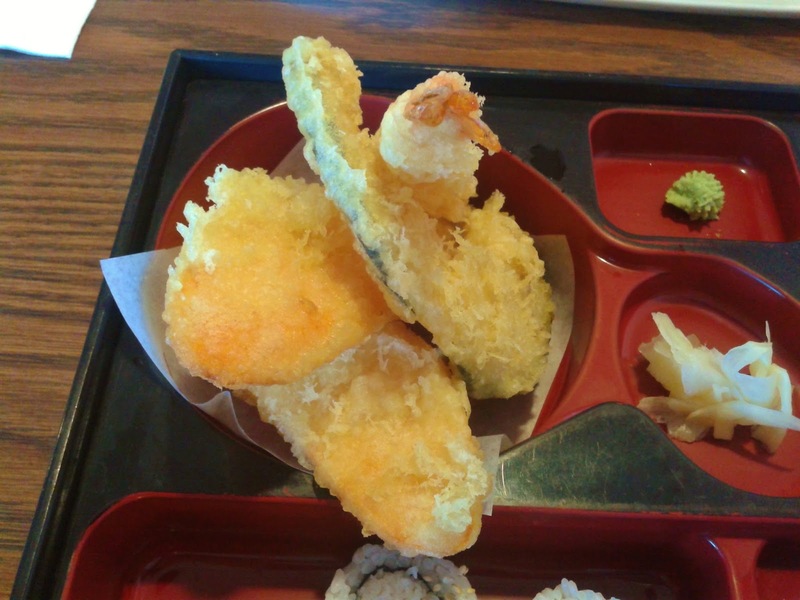 The Tempura in the Sashimi Box came with one prawn, one piece of kabocha (Japanese pumpkin), and two pieces of yam. The prawn was aromatic and rich in flavour, while the kabocha was adequately sweet. The yam was cut to just the right thickness. The batter was quite plentiful, but it was not overly hard. Overall, the tempura was well executed. The Tuna Sashimi was quite soft and did not have a fishy aftertaste. The Salmon Sashimi was also soft and was cut into thick slices. 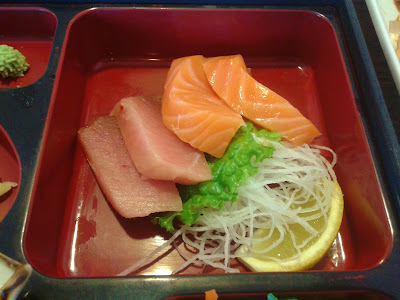 The Tuna Sashimi was fresher than the Salmon Sashimi, which was slightly weak in flavour. 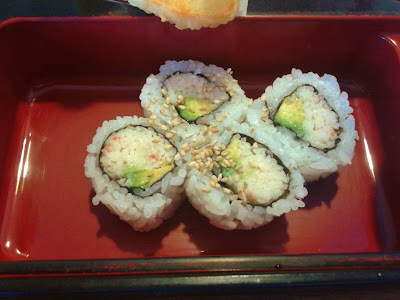 The California Roll contained soft imitation crab meat and fresh, sweet avocado. The sushi rice was above average. The roll wasn't particularly spectacular, but there were no major mishaps. The Green Salad was your typical lunch box green salad with mixed greens. However, I particularly liked the dressing, which had a pleasant sweetness and was not too acidic in flavour. 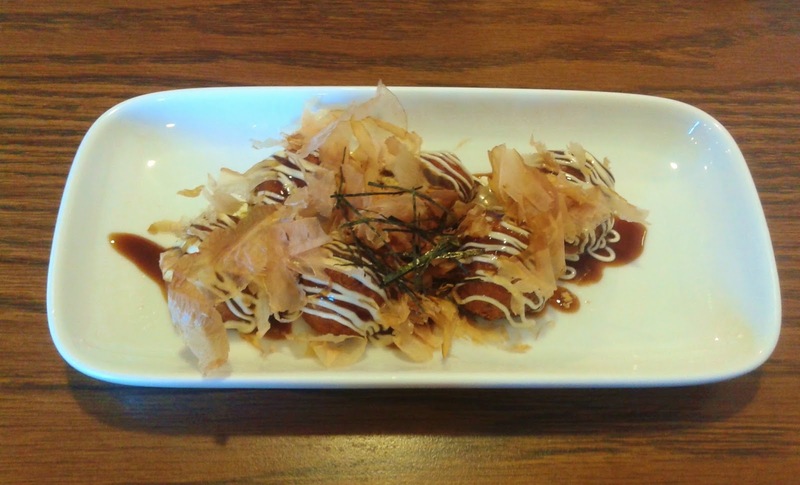 Needing some "Japanese Octopus Dumpling Balls," I ordered the Takoyaki, which came 6 balls. They had a nice zing to them, and the octopus in each ball was sufficiently large. The flour filling in each ball was quite soft, and I enjoyed the bonito flakes and seaweed. The Dragon Roll consisted of unagi and avocado on top of a California Roll. 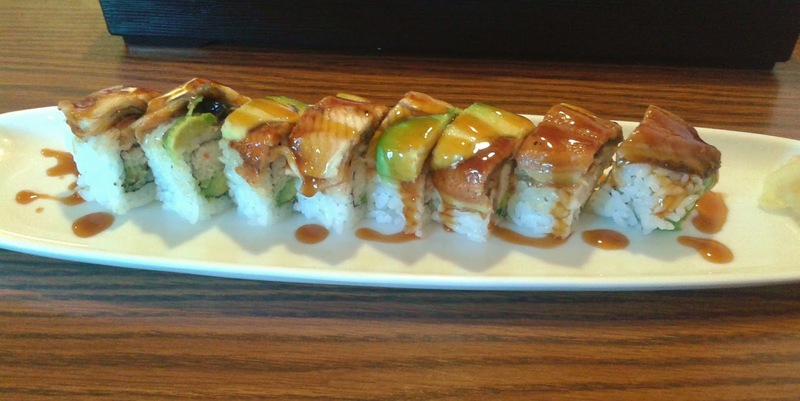 They were quite generous with the unagi, and the avocado had the same enjoyable sweetness as the avocado in the California Roll. 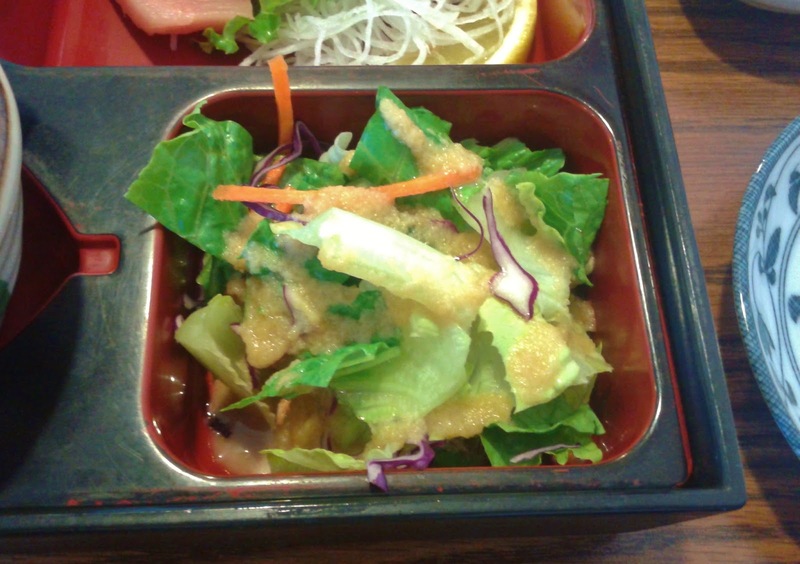 The imitation crab meat was quite fine in texture. 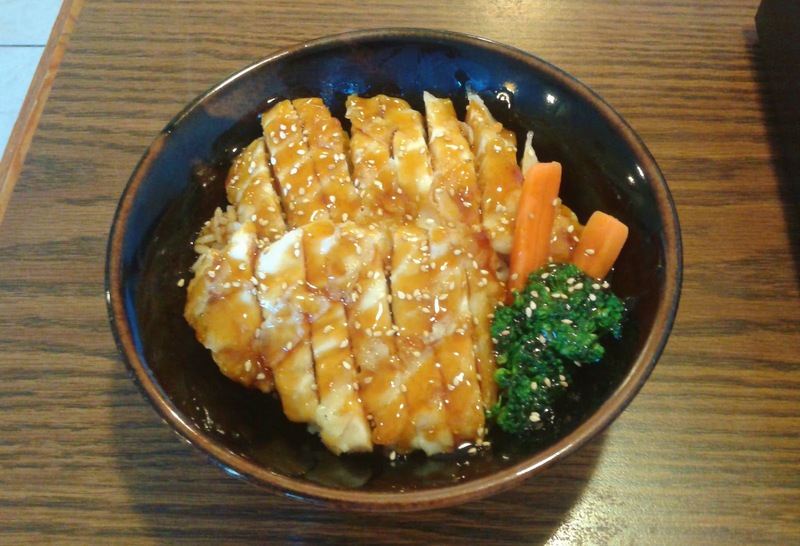 The Chicken Rice Bowl came with many meaty, tender chicken strips whose flavour was accentuated by the light sprinkling of sesame seeds on top. The chicken was not quite as full-flavoured as pan-fried or grilled chicken, but both my dad and I greatly enjoyed the homemade feel of this rice bowl. Furthermore, the quality of the rice was excellent, which made this rice bowl quite memorable to both of us. Sushi Karis appears to be operated by a Korean family, with the dad as the sushi chef, the mom as the cook, and the son as the waiter. The service was decent, and the prices are very reasonable (close to those of a budget restaurant). 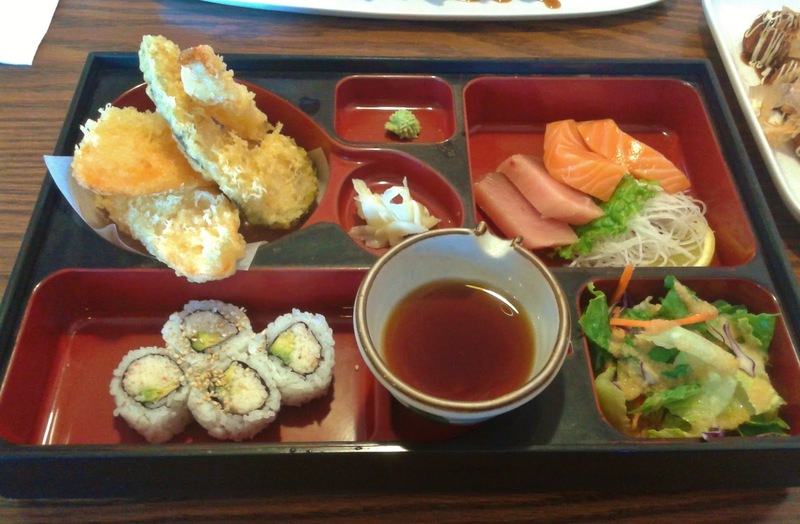 The food was carefully prepared and substantially more refined than the food I've had at Coquitlam's budget sushi restaurants (ahem, Sushi Town). Sushi Karis is one of the better sushi restaurants in town and is definitely worth the few extra nickels and dimes!